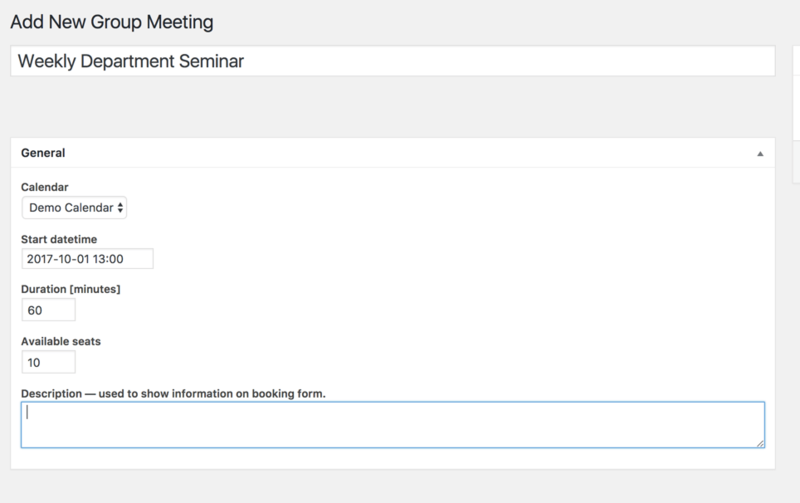 Allow multiple bookings for the same meeting. 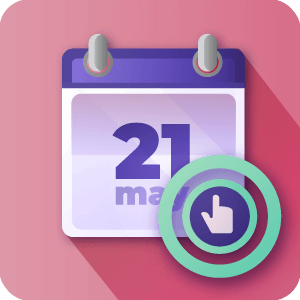 Serves as an event booking solution for your calendar. 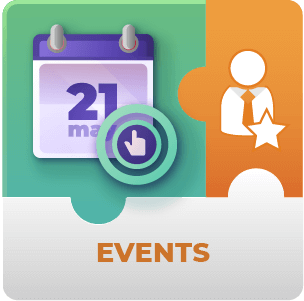 Unlimited Group Meetings – Create as many events as you need. 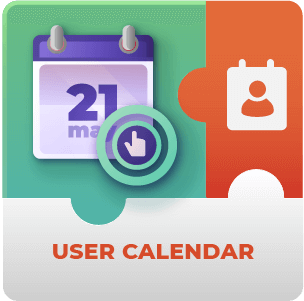 Calendar View – The group meetings’ name appear in the the calendar, making they easy to find. 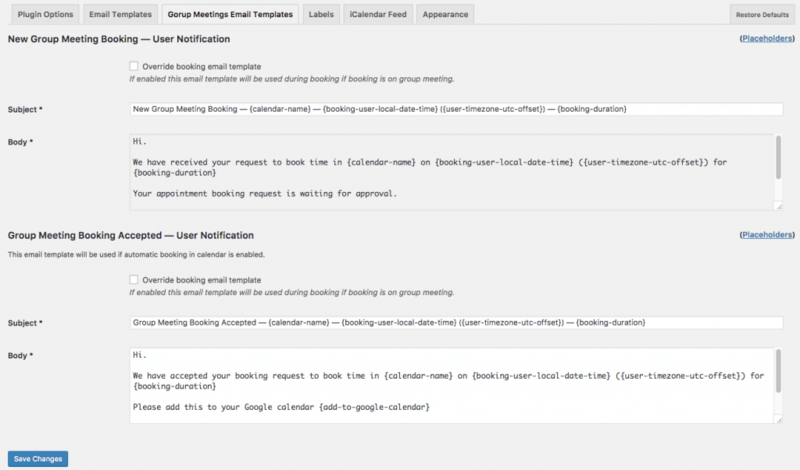 Email Notifications – Send alerts to users automatically whenever a booking is requested or accepted. 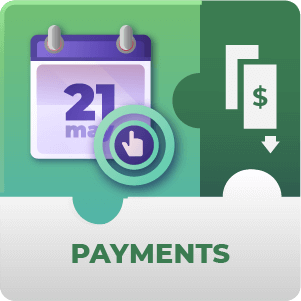 These messages are fully customizable with placeholders. 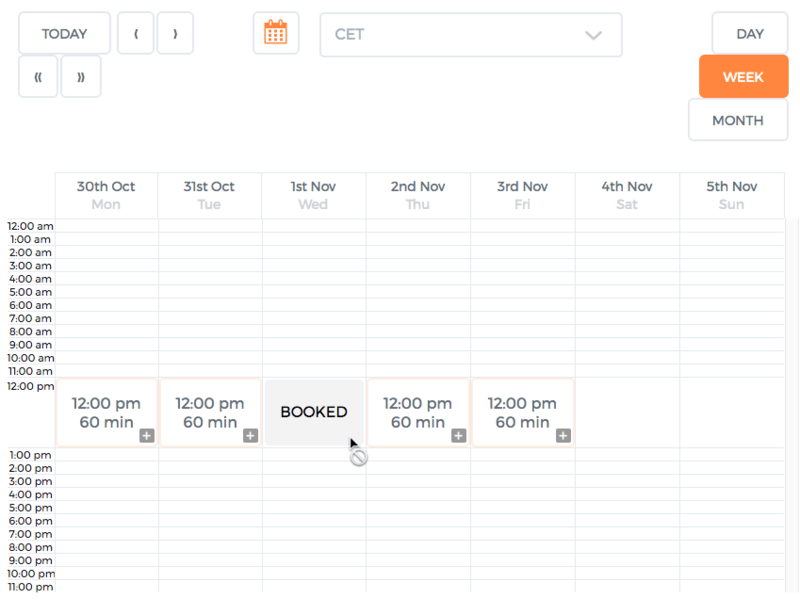 What happens if a regular booking is made at the same time as a group meeting booking? 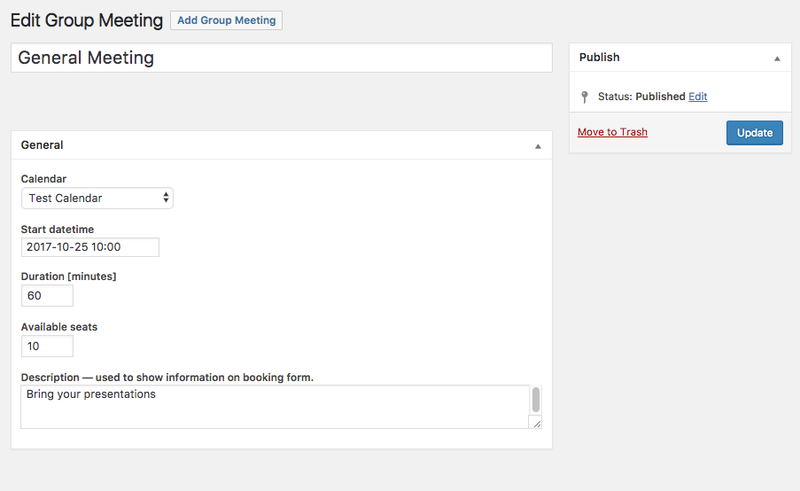 In this case the Group Meeting booking takes priority over the regular. 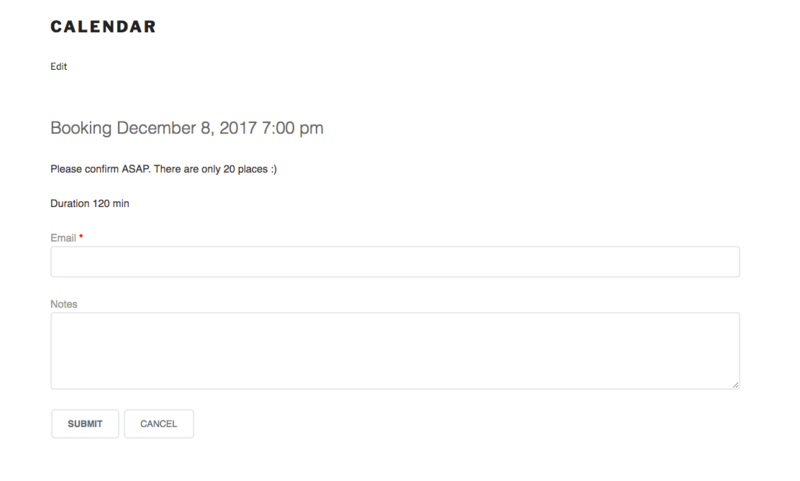 The group meeting booking will appear in the front-end. 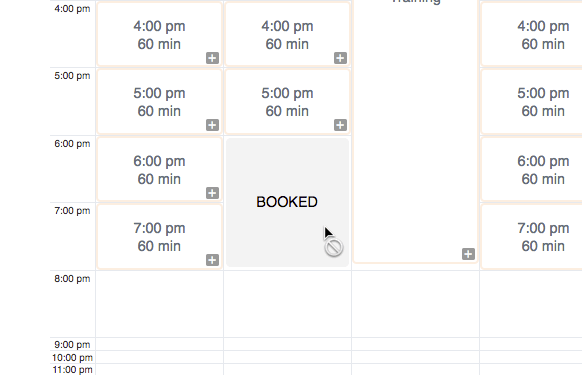 What happens to the bookings I've created if I disable the add-on? 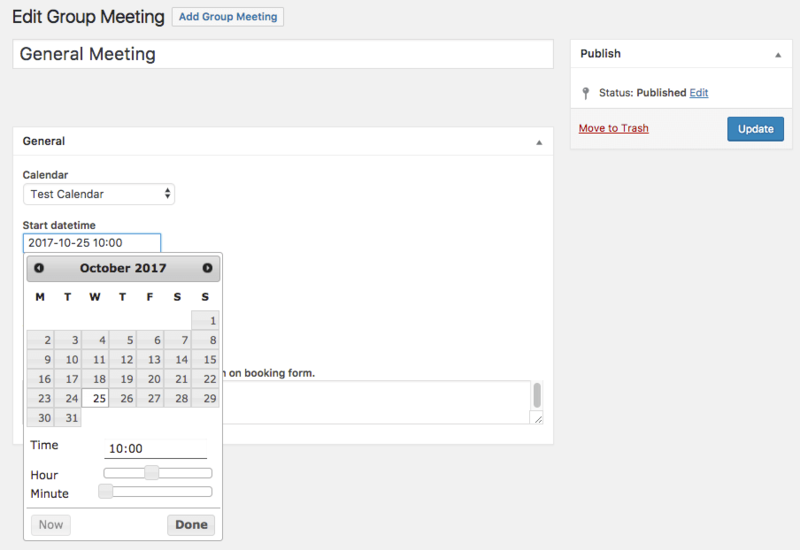 If you disable the add-on then the group bookings that you’ve created will not be removed but will remain as regular bookings. 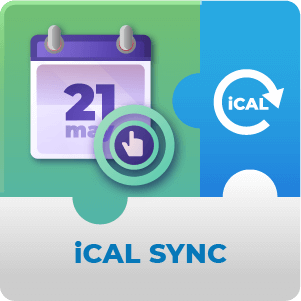 However it will not be possible to create new meetings. 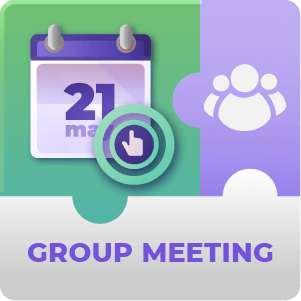 What happens when the maximum number of places have been taken for the Group Meeting? 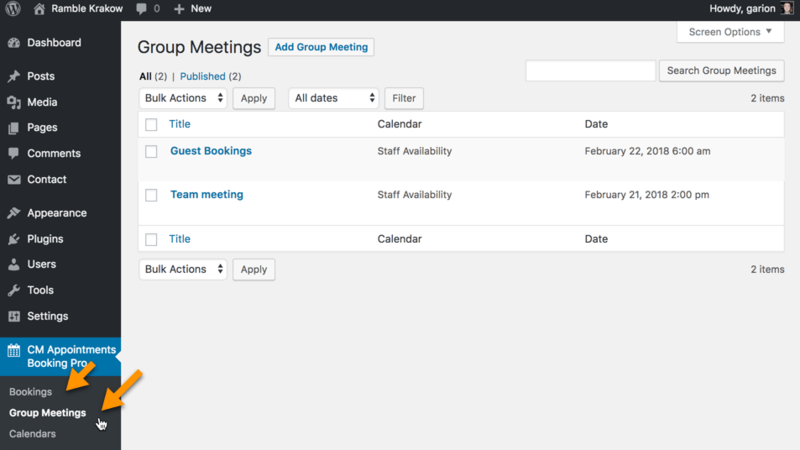 Can I isolate group bookings from regular bookings in the admin panel view? 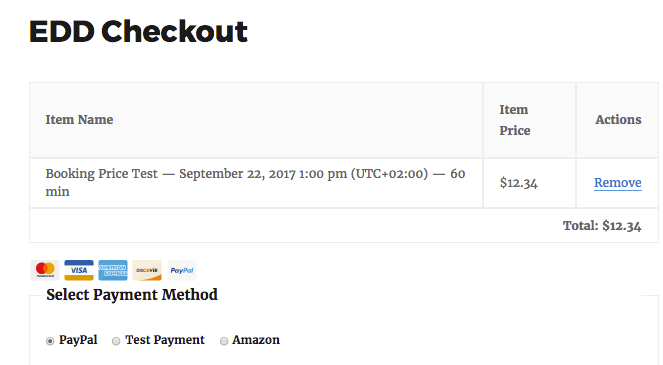 By default they’re separate in the WordPress Dashboard. 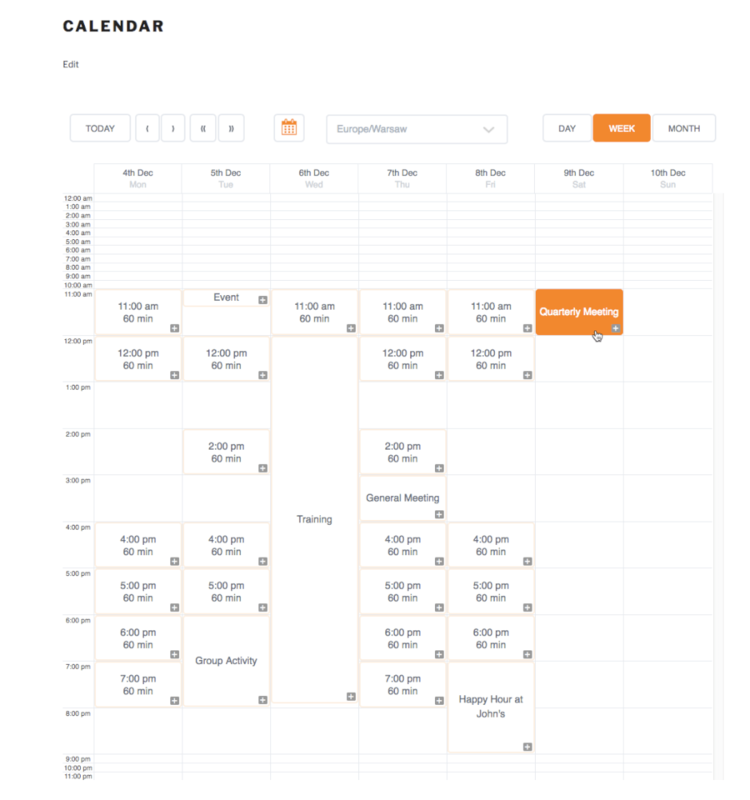 Bookings and Group Meetings have separate areas. 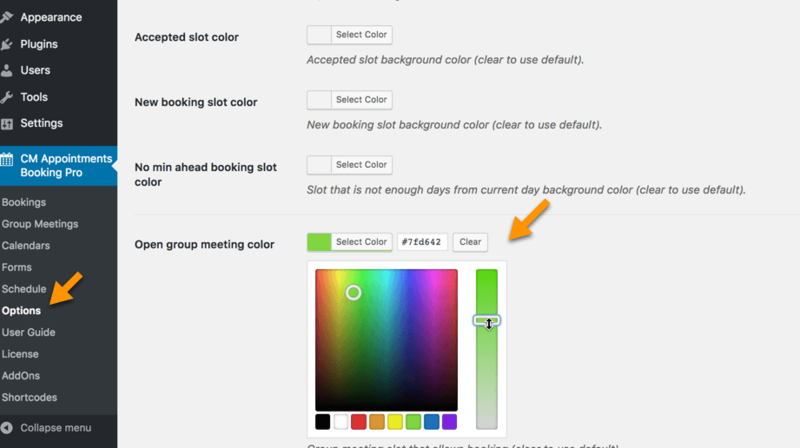 Is it possible to set a different color in the front-end calendar for Group Bookings?